You want your bridal makeup to be perfect. Your bridal makeup cannot allow for an eyeliner which is uneven or a lipstick which fades. Every element of your bridal makeup must be perfect or it will show up on the high definition professional bridal photographs. When you are nervous, you are more likely to have an unsteady hand or weepy eyes – all things which should be avoided when applying your wedding day makeup. Your perfect bridal makeup relies on concentration and products which are premium makeup to achieve that expensive and sought after bridal makeup look. Having a bridal makeup artist will mean that you have someone who is used to dealing with the pressures of a wedding morning and will remain calm enough and has the skill to do a perfect bridal makeup for you. It is wonderful being pampered on your wedding day. 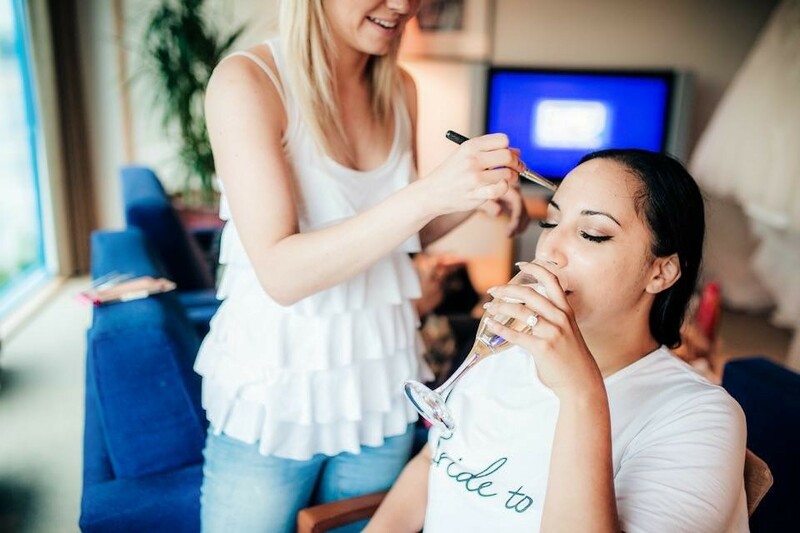 If you have never had your makeup done professionally before, think of it as similar to going to a spa – it can be hugely relaxing and rewarding, and will give you brilliant results at the end when your perfect bridal makeup is revealed.